Document imaging software has quickly changed the way that companies do business. In stark contrast to the not-so-distant past, companies are now successfully transforming their paper documents into accessible, searchable documents that can be searched any time of day throughout the year. 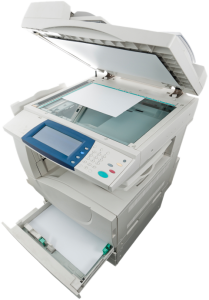 There are tons of benefits that come along with the latest in document imaging technology. Some of these benefits include the ease of decision-making that becomes available once you have digitized management systems in place. Some of the document imaging options that you want to consider are the quality of the imaging that will be required, whether or not your files are more historical or current, how much trust you have in an outsourced vendor, and how important it is to comply with your specific company regulations. Companies with knowledgeable IT staffs often have a clear picture for the way that their document imaging should be handled. Other businesses have workers who struggle with tons of files and restrictive budgets. Your company may be somewhere in between these two situations and perhaps doing some outsourcing while doing other projects in-house is a solution. Companies that invest in document imaging software and equipment are normally looking for a long-term solution where additional in-house personnel may be required to scan and index exclusively. During high-volume periods additional temporary staff may be added on demand. Application Service Provider or On Your Own Servers? One of the features to evaluate when considering implementing a document imaging plan is the platform that the software will run on. There are primarily two types of document imaging services that are available. One of the services is a client-side solution that is known as an Application Service Provider. With respect to the individual needs of your company, an ASP solution may come in handy because of the volume of applications that run on your office computers on-site and off-site. With this type of solution all your files will be stored on one main server and document storage will run on a third-party server where you have the option of accessing documents in any point in time. It is much like a hosted server where your documents are protected and another physical location but can be accessed via password whenever you need them. This is useful when your documents volume is so large that it is easier to be managed off-site. The other type of document imaging is that which is run on servers that you own. This has the added benefits of extra privacy in the event that many of your documents are confidential. While some knowledge in hosting management is required, the learning curve is not very high when it comes to running the software. One thing to be aware of is that in the event of an emergency, you run the same risk of losing your files as you would if you had paper files in the office. Some other issues to consider when looking into data imaging services are the security of your data, data recovery, data mining issues, firewalls and any antivirus software that is made available by your vendor.